I used to share a bedroom with Ynske. This was even more fun than sharing one with Jorrit, because Ynske was always the coziest of everyone. The best thing was that Ynske was born in 1980. This made her only two instead of Jorrit’s four to five years older than me. It used to be so that when I tried to stay awake untill Jorrit had to go to bed, I would inevitably fail, whereas with Ynske we shared the same bed-time for a while. Her company also greatly alleviated my fear of muggers and robbers who jumped at me from my bed-time stories. 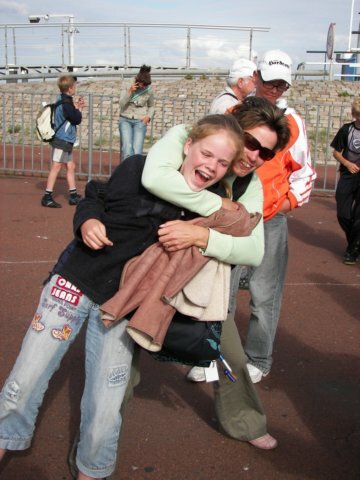 2006 Oelebred School trip: Attacking students is just so wrong! At 26, she’s still a loving, little lady. All the warmth and love which she already posessed as a little child, she now spreads among the children which she teaches. Before she finished her PABO education to become a certified grade-school teacher, she has taught voltige and horseback riding at riding school Manege de Bongerd. She still keeps her horse at this riding school. 2006 Oelebred School trip: Happy teachers make happy pupils. 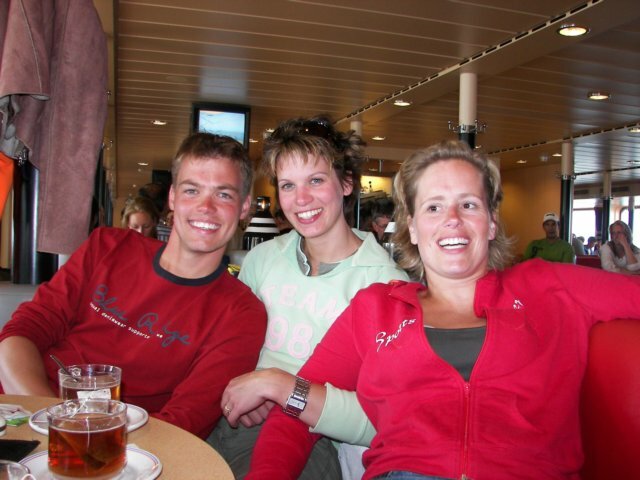 2006 Oelebred School trip: Even more happy teachers.